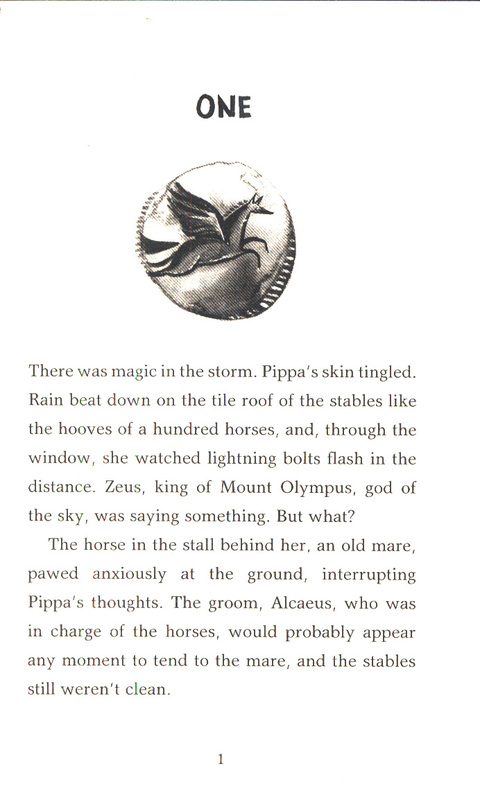 Originally published: as Wings of Olympus. New York: HarperCollins Children's. 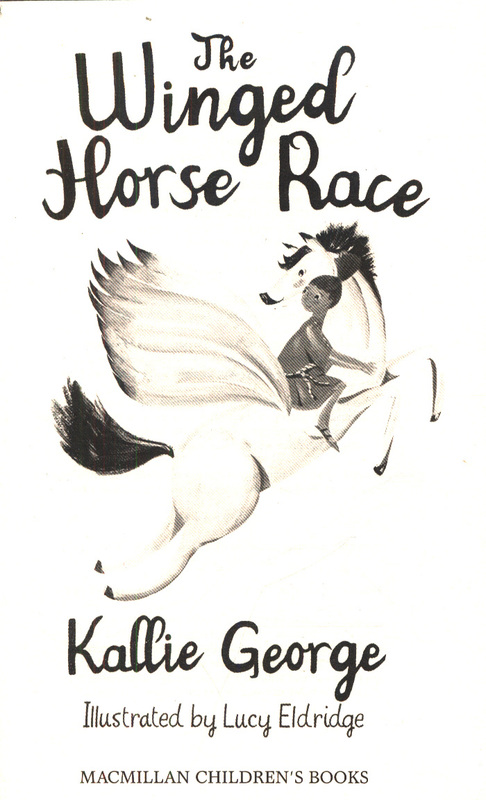 The Winged Horse Race is a breathtaking adventure from Kallie George, beautifully illustrated by Lucy Eldridge, with an ancient setting and a thoroughly modern heroine. 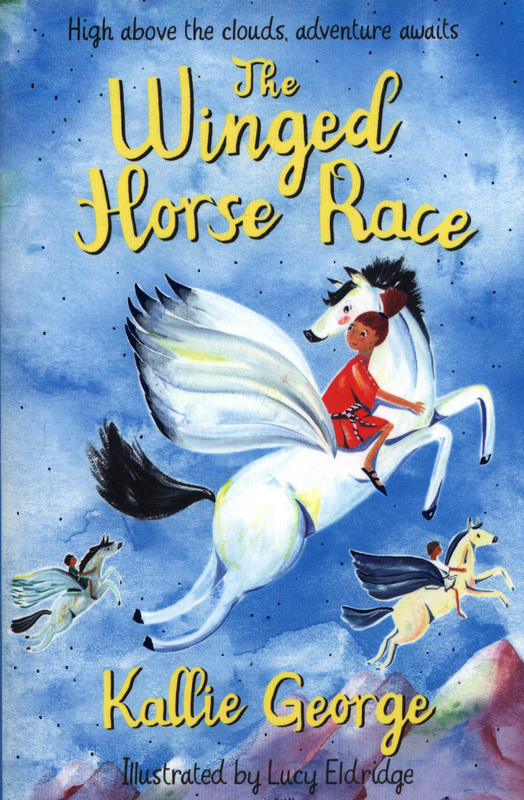 Pippa is a foundling working in a stables in ancient Greece, until one day she catches a glimpse of an enormous silver wing in the clouds. 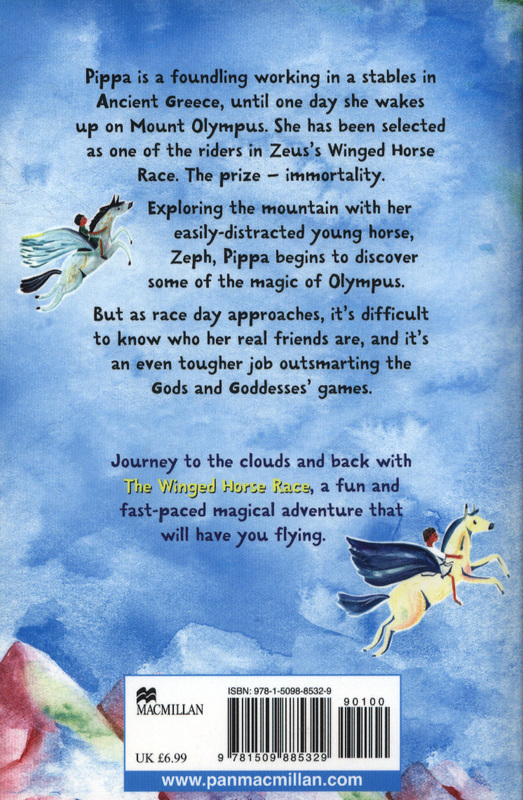 When she wakes the next morning on Mount Olympus, Pippa discovers that she has been selected as one of the riders in Zeus's Winged Horse Race. The winner's prize is immortality. 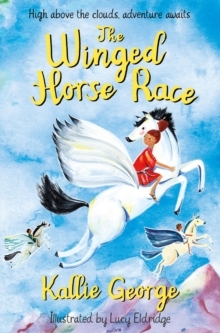 Pippa falls instantly in love with her easily-distracted young horse, Zeph and they quickly become a fantastic team, exploring the mountain and meeting the interesting characters who live on Olympus. But as race day approaches, it's difficult for Pippa to know who her real friends are and it's a tough job to outsmart the Gods and their games.